The Manaila mine in Romania is currently producing around 250 to 300 tonnes of copper concentrate per month using one ball mill and part of the flotation circuits, but the use of a single circuit is resulting in high levels of zinc and lead in the copper concentrate, thereby reducing the per tonne value of the concentrate. The unrecovered lead and zinc is reporting to the tailings and is therefore being lost. Vast Resources PLC Monday said it has entered into an agreement with numerous existing shareholders to raise up to GBP800,000 by issuing shares and warrants, allowing it to accelerate its projects in Romania and consider work at its other assets. The transaction will be carried out in four tranches but Vast Resources did not reveal which of its existing shareholders have chosen to participate. The first tranche has already been completed, raising GBP400,000 through the issue of 50.0 million new shares at a price of 0.8 pence each. Vast also issued 50.0 million warrants tagged with an exercise price of 1.04 pence that can be converted into shares before March 3, 2021. Vast shares were down 5.7% to 0.533 pence per share on Monday. The remaining three tranches yet to be completed will each raise GBP133,333 each. The second, third and fourth tranches of subscription shares will be priced at the closing bid price of the shares on the trading day prior to the date they are issued. One warrant will be issued for every additional share issued under the deal. Vast said the subscription is being phased to “minimise dilution to existing shareholders whilst simultaneously providing maximum flexibility to the company,” it said. The remaining shares that have not yet been issued will not be issued unless shareholders approve a resolution to allow the directors to issue more shares in the company. Vast also provided an operational update on Monday. To remedy the situation, Vast said it needs to commission the second ball mill and floatation circuit so it can produce a copper concentrate with less lead and zinc to achieve a better price, whilst utilising the zinc and lead by creating a separate concentrate. Vast also plans to increase monthly tonnage capacity at the mine to “closer to” 20,000 tonnes from the current 10,000 tonnes limit. Vast also plans on reducing transport and handling costs whilst improving the efficiency of the plants. The funds provided by its lender, Crede, are sufficient to fund that work, but the company said it would take too long to implement the changes because those funds are being staged. Some of the funds raised through the subscription, therefore, will be used to speed up the development. “Whilst Vast is of the view that commodity prices will further improve on the recent gains seen in early 2016 particularly in gold and copper, there is no certainty that they will and it will be some time before junior mining companies will be able to secure funding from traditional sources,” said Chief Executive Roy Pickford. “The fact that Vast has secured funding from both Crede and the board and management, and now from existing shareholders, has placed the company in the enviable position of having sufficient funding to bring its two mines in Romania into full production. Any surplus funding will be used to expand or increase operations in either Romania or Zimbabwe and support general working capital,” he added. The Baita Plai mine, also in Romania, is being readied and prepared for the investment required for its restart. Vast is currently waiting for the licence to be approved, and this project will also be accelerated using the funds from the subscription, it said. Vast will consider carrying out an expanded phase one resource drilling programme at Manaila, with the overall drilling programme expected to cost around USD800,000. Once completed, that would lead to a JORC compliant mineral resource. Vast also has the potential to upgrade the laboratory at the mine to facilitate assaying for gold and silver in concentrates prior to shipping, but that would cost around USD200,000. 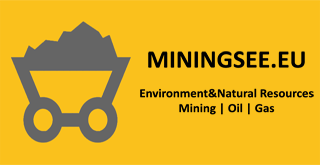 It will also consider further resource drilling at Baita Plai, at a cost of USD500,000, and auguring and assaying of the tailings dam to assess the potential of retreating the dump for any contained minerals, which would cost an extra USD50,000.